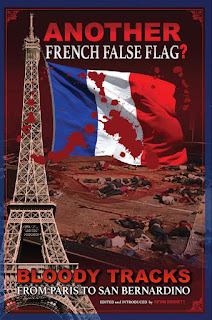 truthjihad.com blog: Paul Craig Roberts on "ANOTHER French False Flag"
Paul Craig Roberts on "ANOTHER French False Flag"
Paul Craig Roberts just published a new essay, There Is No Freedom Without Truth. ...The neoconservatives, who controlled the George W. Bush regime, called for a “New Pearl Harbor” so that they could begin their wars of conquest in the Middle East. A “New Pearl Harbor” is what 9/11 gave them. Was this a coincidence or a Gulf of Tonkin or a Reichstag fire or a Tzarist secret police or Operation Gladio bomb?